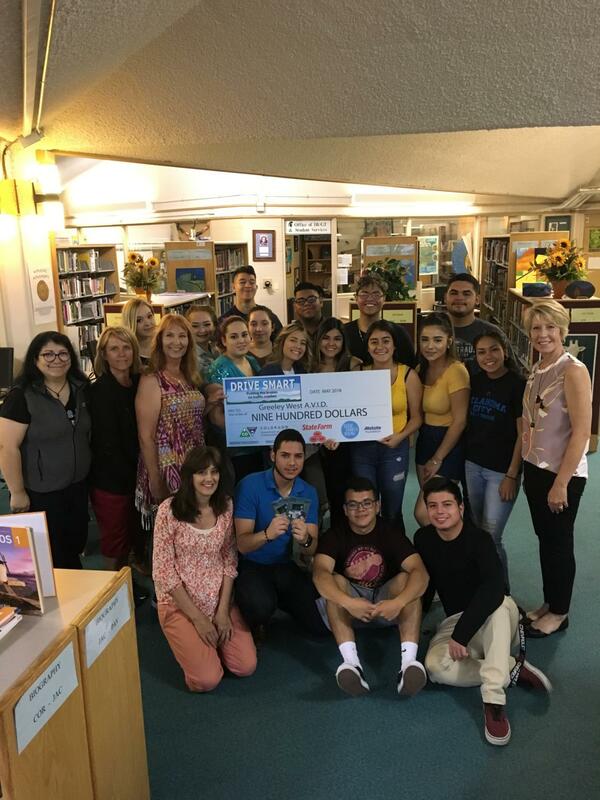 Greeley West AVID seniors were presented money from Drive Safe for their efforts this school year. The Greeley West High School music program took their yearly trip. This year, the trip was to Grand Junction for the 93rd annual Colorado West Invitational Music Festival. All of the students participating left the school on Thursday April 19th early in the morning. They spent the majority of the first day and part of the second participating in the music festival, as well as spending some time in Glenwood Springs and at the Glenwood Caverns Adventure Park. After five hours on the bus, students arrived for the first performance at Palisade High School. The first group to warm up was Sinfonietta Orchestra. Their final scores from three judges consisted of two twos and a one, for a rating of excellent overall. The Greeley West chamber orchestra performed shortly after Sinfonietta. All three judges gave a one rating for an overall rating of superior. After the two orchestra concerts, the group traveled to Grand Junction High School for the band to perform. The choir performance happened on April 20th in the morning at Colorado Mesa University. They performed three pieces. The judges gave them two twos and a one, for an overall rating of excellent.